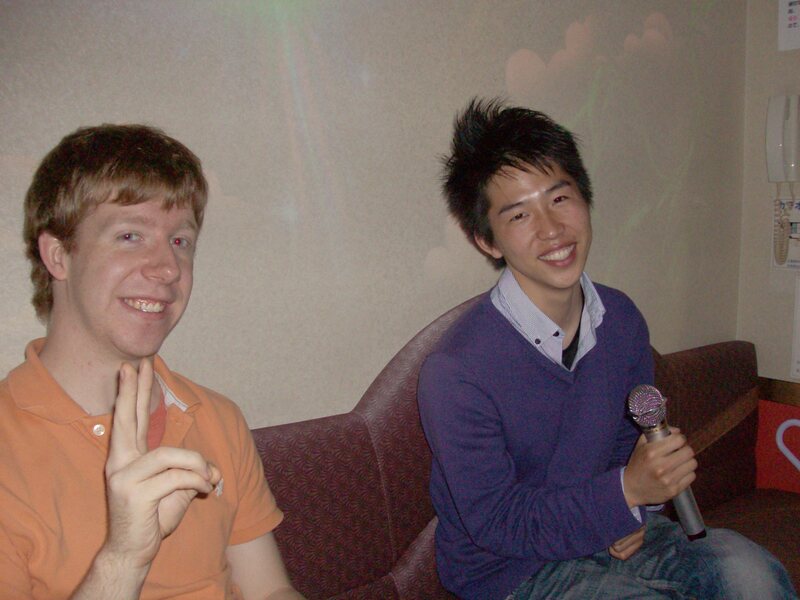 Karaoke in Japan is completely different from karaoke in America. In America, we usually do karaoke in bars and it’s basically open mic, so anyone in the bar can come and sing in front of everyone. 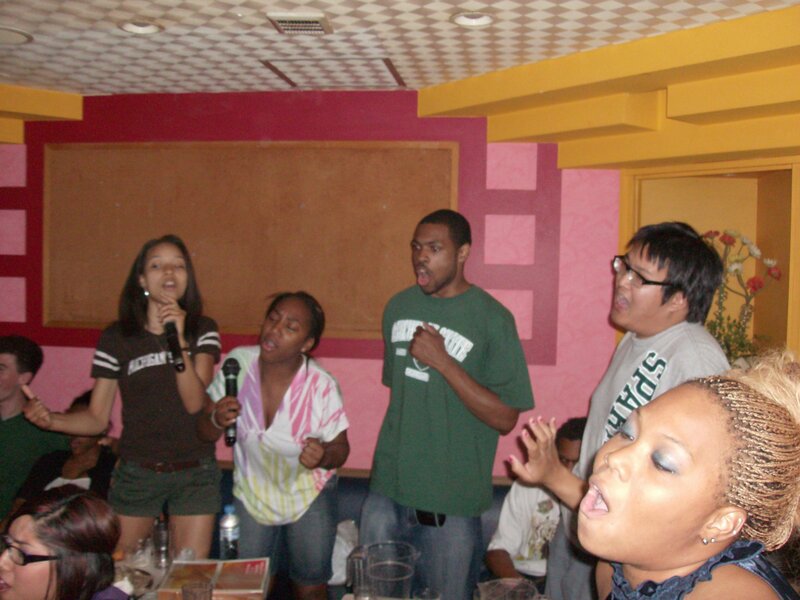 In Japan, you usually rent a room and just sing in front of the group of people you are with. It’s really nice because then you can sing along and joke around with your friends. Plus you can have food and drinks delivered to you, which is pretty nice. I tried it both in a big group and in a small group, each of which had its benefits. With the big group (I think about 12-13 people), it was kind of like a party atmosphere, with everyone talking and singing along, which was a blast. The second time I went it was just my friend Andrew, his friend Yutaro, and me. It felt more personal, like a couple friends hanging out. Both times were really fun and I wish the US would pick up on the karaoke bar mentality. Visiting Japan Rail East was definitely more interesting than I expected. The whole trip we had been visiting companies that were based mostly in communication and entertainment, whereas JR is focused on transportation, which isn’t something I’m all that interested in. Since we visited the research and development building, we were able to see some of the projects they’ve been working on to improve the usability of the train stations. 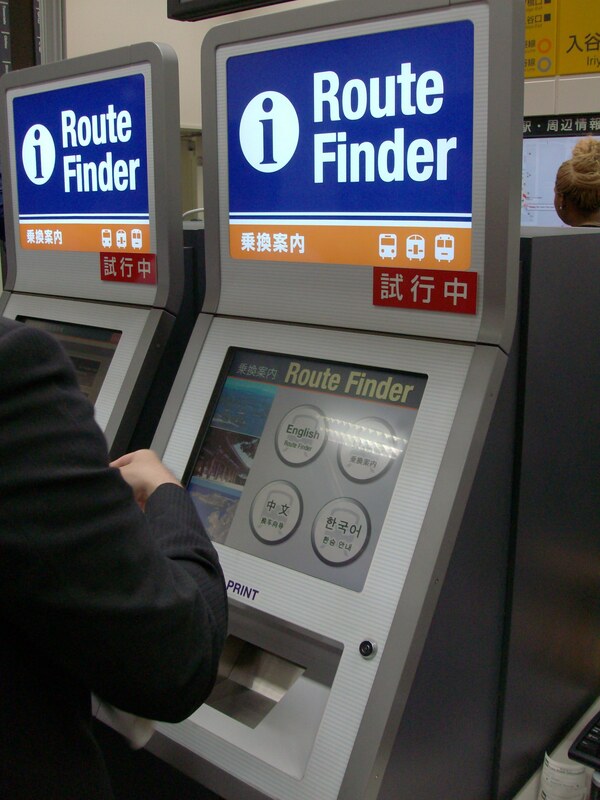 The coolest thing by far was the route finder. It’s a kiosk you would go to if you wanted to travel somewhere and didn’t know which train lines to take. It offers both Japanese and English and it uses a touch screen, which is always nice. You are able to input starting point, ending point, and the time you’d either like to leave or arrive. From there it will give you a few options, one of which will be the quickest and another will be the cheapest. You can even print it out to take with you! We used it to find our way from the hotel to the airport for when we left. It was neat because some of us chose the more expensive, but quicker routes, and others chose the cheap routes. Second coolest was their new security system. It can analyze what it sees and alert security to certain things. It can detect if there is a large increase in traffic in a certain area, it can recognize if someone is moving haphazardly, indicating that they may be sick, injured, or drunk. 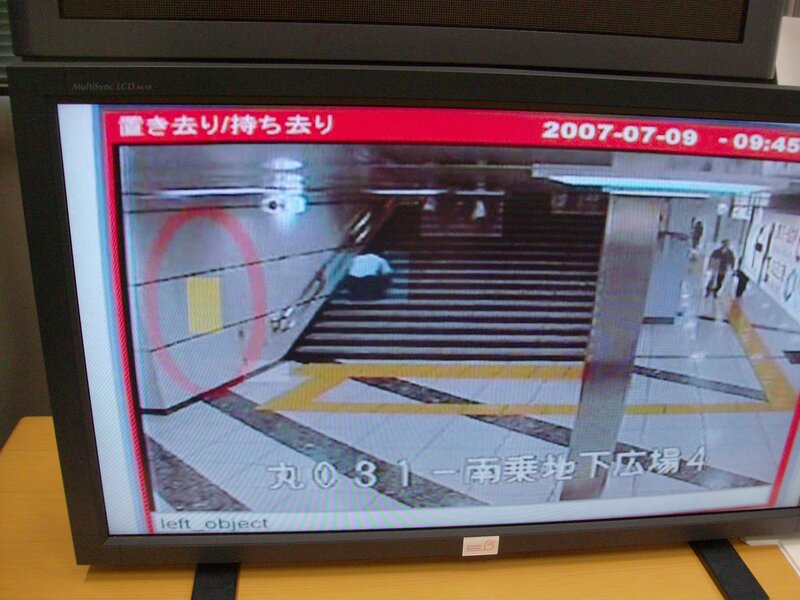 It can also detect if someone has left baggage behind, which is helpful in preventing a bombing. There were some other things there, like an interactive map with an attachment that will point in the direction of your destination and their new displays that will show where the next train is at on the line and how long it will take to reach the station. All of it is focused on making the train experience better for the consumer. We also were able to look around their brand new (almost finished) testing facility, which is a full-size mock-up of a train station. Overall, it was a neat experience! 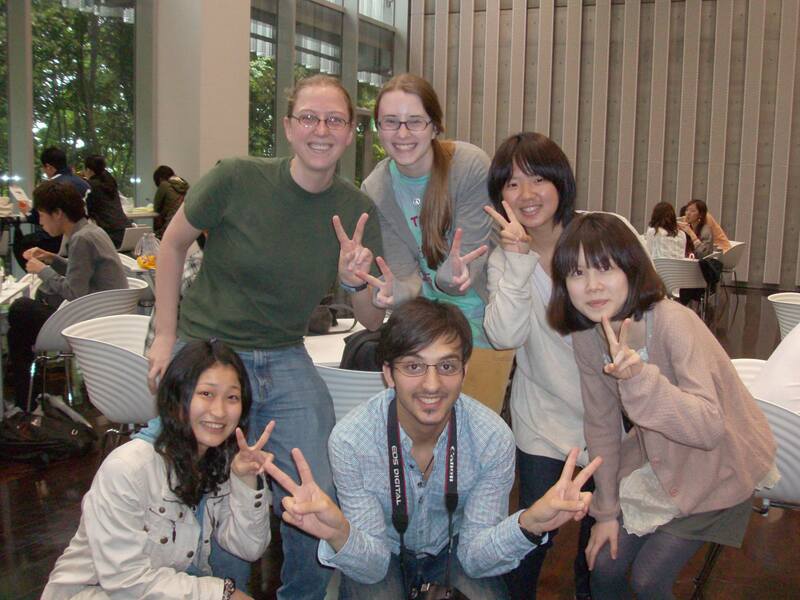 College in Japan is so different from college in America. For me, college was the wake-up call I needed to learn time-management and how to really study. I breezed through high school with a 3.6 and hardly any studying that wasn’t done an hour before class. Now I’m in college and it’s taken me 5 years to learn how to study correctly and I still don’t think I have it right. For the Japanese, it’s completely different. Japanese students are very focused on school starting at a young age. A lot of them will go to normal school hours and then go to cram school during the evenings and on weekends. For them, it’s all about getting into the right university and that’s it. Once they’ve passed the exams and been accepted to the university, it doesn’t really matter anymore. A lot of the students will skip classes on a regular basis or sleep through class. Yeah this happens in the US too, but not on the same scale. 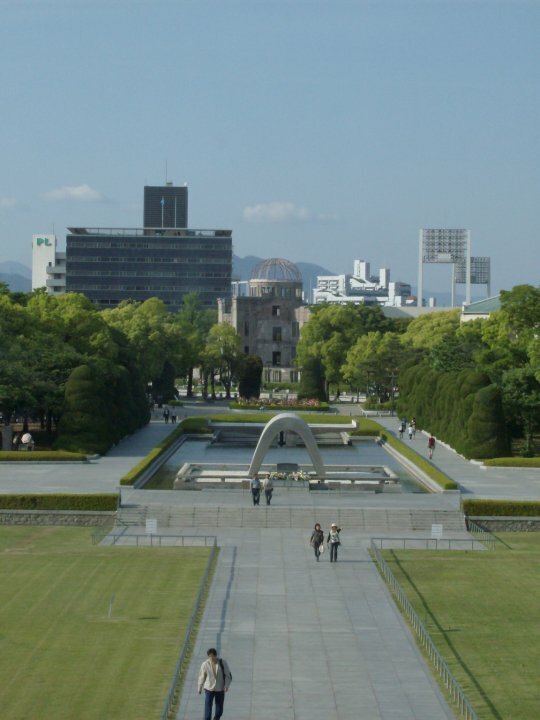 I was talking to my friend Andrew, who has been studying abroad in Japan since September, and he is in an American History class that is about as hard as a middle school history class (though speaking native English helps a lot I’m sure). I guess for the Japanese, college is a little break from the stresses of life before they have to enter the rigorous working lifestyle. I’ve known for a long time that Japan was one of the leaders in technology, but it amazes me how fast technology in Japan can diffuse through the population. Everyone ages 10 to 60 has a mobile phone in Japan and they all know how to use it. The use of mobile phones for multimedia was extremely popular, even by older people. The Nintendo DS is so popular over there that it’s common to see 50-year-old business men playing them on the train. I saw one older man playing Dragon Quest Monsters Joker 2, which would definitely be considered a game for kids in the US. I suppose with everyone packed in so tightly, people have to adapt to new technologies fast. There was only one place I really noticed that older people hadn’t necessarily picked up on the new technology, and that was with Suica/Passmo, the preloaded cards used instead of train tickets. I noticed that a lot of the retired generation would still purchase tickets from the machines instead. I think maybe one reason they haven’t picked up on that so much is they don’t travel on the trains as much as a young businessperson or student would. It would have been annoying for me to have to buy a ticket every time I wanted to use the subway, but then again I’m part of the ADD generation. Why can’t hotels be more awesome! This place is full of technology. Doors into restaurants and shops open automatically just by touching a spot on the door (very energy efficient with how small the sidewalks are). The QR codes are everywhere, so anyone with a cell phone can access information about a product with a click of a button. Restaurants have call buttons so the waiter knows you need them. The electricity in some hotel rooms requires the room key to be placed on a switch. Despite this, they don’t have electronic key cards in either hotel we’ve stayed at. Both have one physical key to be use to get into the room. It’s not a big deal if there are only two people and the key is left at the front desk, but it is a little tougher with three. It hasn’t been a big problem really, but I did get back late one night and one roommate was asleep while the other was out. I had to have the front desk open the door for me since I didn’t have the key. I’m assuming there’s a cultural reason they don’t use key cards. Maybe it has to do with the ease of hacking into the systems. It just strikes me as odd that they use regular keys in the age of technology. But complimentary bottles of water are amazing! It’s amazing how often I feel like a celebrity here. The students see us walking by and some will say “Hello” while others will just kind of stare. A number of middle and high school students have come up and asked to take pictures with us. 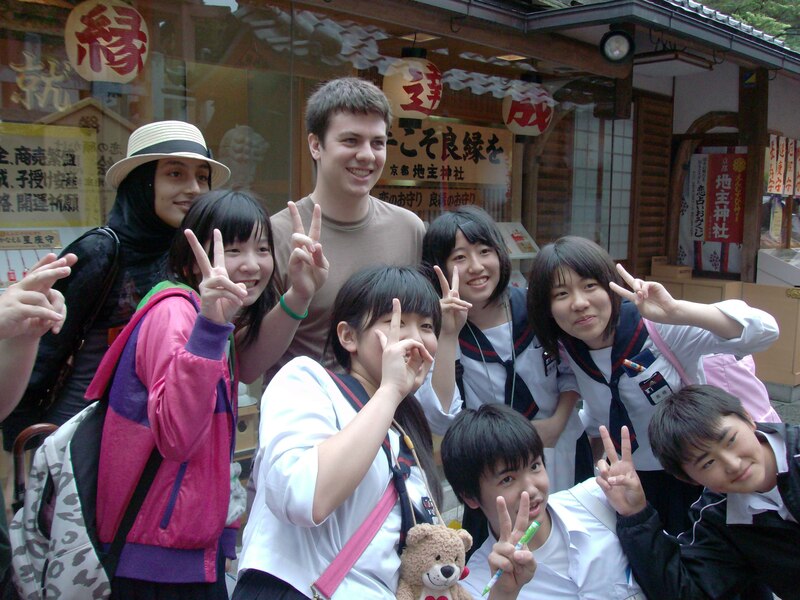 It’s not just Japanese students either, there was a group of Chinese girls and a group of Korean girls as well. Because I can’t tell the difference between the different Asian features, I didn’t know they weren’t Japanese until they told us. There was one group of middle school students that asked a few of us for our signatures. I’m not sure if they had an assignment to collect autographs or if they just thought we were cool because we’re foreign. Either way, it felt pretty awesome. We’ve had fun teaching some of the young kids how to high five. They are usually rather shy, but once we show them what we are asking for, some of them will do it. This usually sparks more of them to do it. It’s so cute! Yesterday was a 3D extravaganza (with some other stuff too). We visited DNP in the morning where we got to see some of the products they have been working on such as AR. AR is a technology where a card reader will register different cards and give a 3D rendition of whatever product/thing is connected to the card. We were able to see a simulation of a car driving and by adding another card we could change the setting, add a driver, or change the viewpoint. It was really neat! In the afternoon we visited two companies, Lucent Pictures and Futurescope, both owned by a company called Fields. Futurescope is focused on mobile phone products like wallpapers. 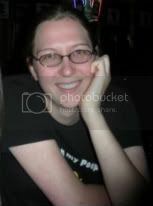 They had a really neat product where you can take a picture of a person or object and it will cut out everything except what the object so you can add it to an e-mail. Lucent Pictures is working on changing movies, tv shows, and still pictures from manga (graphic novels) from 2D to 3D. We got to see clips from a Bruce Lee movie, the Disney film Earth, 300, and some anime. It was pretty amazing to see. I was pretty skeptical about 3D TV before, but now I think it is amazing! I’m also way more excited about the Nintendo 3DS as well, as I think 3D video games will be pretty cool. In all it was a good day! 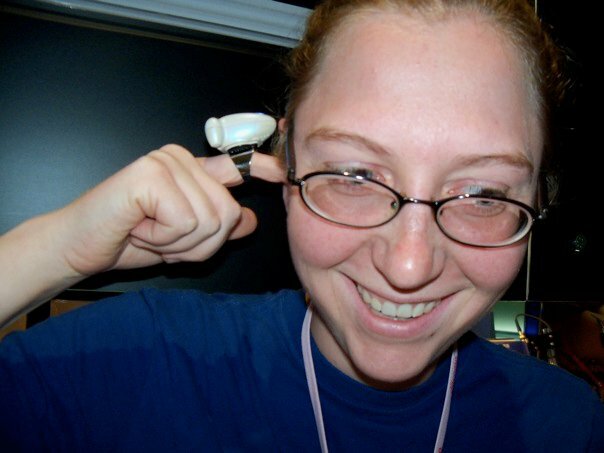 We got to see some amazing technologies that will hopefully be prevalent everywhere eventually!